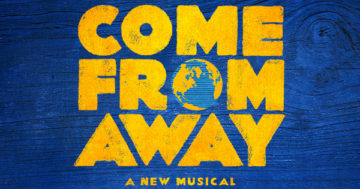 To celebrate the upcoming Broadway production of Come From Away (Fest ’13), we’re hosting a special preview event. Join NAMT at 8pm on Thursday, March 2nd for a preview performance, followed by a post-show cocktail reception with producers Junkyard Dog and members of the creative team at nearby Glass House Tavern. Tickets for this exciting event are only $125, and we have a limited quantity available.